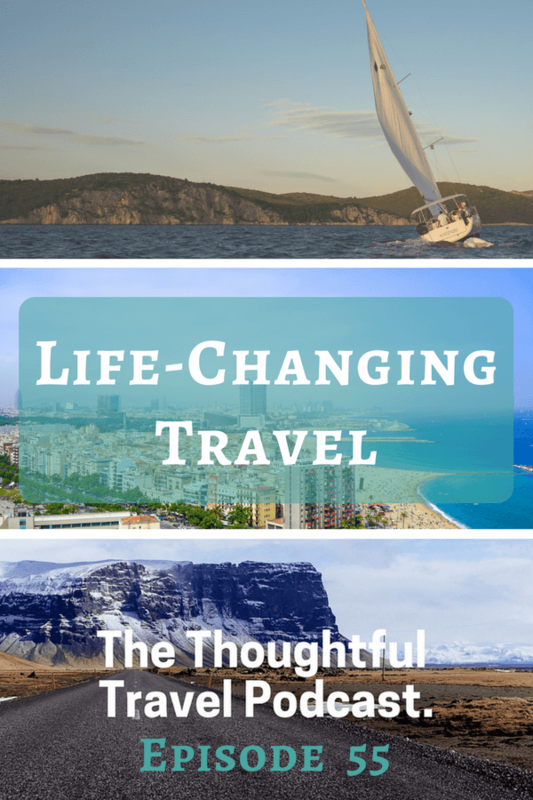 Travel can change our lives in so many ways. Yes, it’s really that important! This episode of The Thoughtful Travel Podcast is one of my new favourites already, because I love the stories my three guests tell about how travel changes lives. Interestingly, my first two guests spoke about how the travels of their relatives and ancestors, and the first kinds of travel they did themselves, really has had a huge influence on their lives as travel-loving adults. Of course, I agree with them completely! Travel can also be about moments that may or may not change your life and my third guest has a story which really needs a crystal ball or some time-travelling to have a satisfying ending – it’s a real “what would have happened if …” kind of tale. Travel is so very often life-changing – it’s one of the big reasons I’m always trying to encourage people to travel more. On Episode 55 of The Thoughtful Travel Podcast, I talk with three people who agree with me. My first two guests, Kate Forsyth and Zoë Dawes, speak of their early experiences of travel and how that changed their lives. Kate had some adventurous times in her childhood, whereas Zoë learnt about the adventurous nature of her great-grandfather instead then let loose once she first got to travel abroad in her twenties. My final guest, Hayden Lee, speaks of a more recent travel experience where he regrets not having made a different decision – thus changing his future thoughts on travel significantly. Don’t forget to join our Thoughtful Travellers Facebook group too! It’s so very true that travel broadens our minds (well, most of us!). Thanks for inviting me to share my thoughts and great to hear Kate and Hayden’s experiences. You’re so welcome Zoë – thanks for your fantastic contribution as always!